දමිළ ජනයා ඡන්දය ලබා දෙන්නේ ඔවුන්ගේ නායකයින් පවසන ආකාරයට මිස ස්වාධීනව බුද්ධිමත්ව සිතා නොවේ. 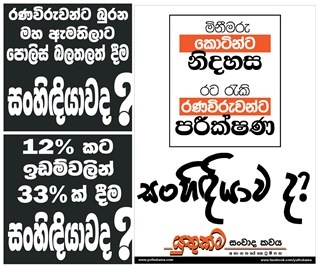 දමිළ ජනතාවගේ නායකයින් ක්‍රියා කරන්නේ ඉන්දියානු සහ බටහිර වුවමනාවන්ට අනුකූලව බෙදුම්වාදී න්‍යාය පත්‍රය ඔස්සේය. එසේ නම් අවසානයේ සිදු වන්නේ දමිළ ජනයාගේ ඡන්දය බෙදුම්වාදී විජාතික වුවමනාවන්ට අනුව සැකසීම නොවේද? 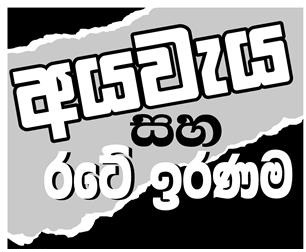 පසු ගිය ජනාධිපතිවරණයේදී ඔවුන් මීට පෙර නමවත් අසා නොතිබුනු මෛත්‍රීපාල සිරිසේන නමැත්තාට ඔවුන් වෙසෙන පෙදෙස්වලින් අසාමාන්‍ය ප්‍රතිශතයකින් ඡන්දය ලබා දුන්නේය. එ මඟින් පිළිඹිබු වන්නේ අප මාතෲ භූමියේ ඉරණම තීරණය කිරීම සඳහා බෙදුම්වාදී විජාතික බලවේග විසින් ජාතිවාදී මෝහාන්ධකාරයේ ගිල්වනු ලැබූ දමිළ ජනයා අතකොළුවක් ලෙස භාවිතා කරන බව නොවේද? බොදු බල සේනා සමඟ ජාතික හෙළ උරුමය හලාල් විරෝධී සටනක් ඇරඹුවා අපට මතකය. එක්සත් ජාතික පක්ෂය බොදු බල සේනා සංවිධානයට මුදල් ලබා දුන් බවත් හෙළ උරුමයේ ඇතැම් සාමාජිකයින් උපක්‍රමශිලි ලෙස ඉවත් කොට බොදු බල සේනා සංවිධානය තුළට යැවූ බවත් අශෝක අබේගුණවර්ධන නම් ජාතික හෙළ උරුමය සමඟ කරයුතු කරමින් මේ කුමන්ත්‍රණ සඳහා සහභාගී වූ පුද්ගලයෙකු යුග පෙරළිය නමින් පොතක් එළි දක්වමින් හෙළි කොට ඇත. බොදු බල සේනාවේ හලාල් සටන නිසා මුස්ලිම් ජනතාව රජයෙන් සම්පූර්ණයෙන්ම වාගේ ඈත් වෙද්දී ඇතැම් බෞද්ධ පිරිසක් ද රජය ගැන අප්‍රසාදයට පත් විය. අවසානයේ බොදු බල සේනාව සමඟ කටයුතු කළ චම්පිකලාත් ඔවුන් එකල වර්ගවාදී ජාතිවාදීන් ලෙස හැඳින්වූ අයත් චම්පිකලාව වර්ගවාදීන් ලෙස හැඳින්වූ අයත් දෙතුන්ගොල්ලෝම සිරිකොතේදී එක යහනක සැතැපුනේ නැත්ද? මින් පැහැදිළි වන්නේ පසුගිය ජනාධිපතිවරණයේදී මුස්ලිම් ජනතාව මෙන්ම බෞද්ධ ජනතාවද ඉතා කූඨ සැළසුම් සහගතව බරපතල ලෙස මුලා කොට ඇති බවයි. ඔවුන්ගෙන් ඇතැමෙක් ඒ මුලාවෙන් මිදෙමින් සිටිතත් තවමත් බොහෝ දෙනෙකුට ඒ අවබෝධය ලැබී නැත. තම ජාතියටත් ශාසනයටත් රටටත් පමණක් නොව සහෝදර අන්‍ය වර්ගයන්ට පවා විපාක දෙන තීරණයකට රට තල්ලු කරවීම වැළැක්විය හැක්කේ සිංහලයන්ට පමණක් බව පැහැඳිළිය. 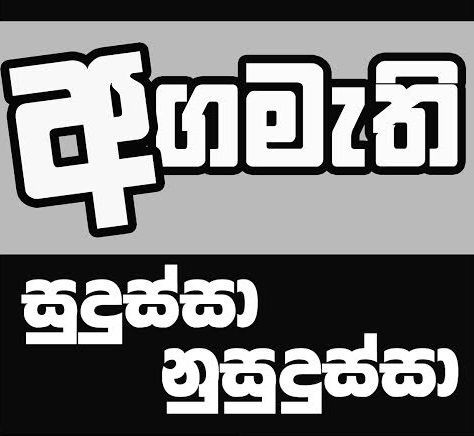 අගෝස්තු 17 වනදාට ලංකාව නමැති කුඩා රටේ පැවැත්වෙන ඡන්දය මහින්ද රනිල් අතර ඡන්දයක් පමණක් නොව. එය ජාතික සහ විජාතික බලවේග අතර පැවතෙන තරඟයකි. 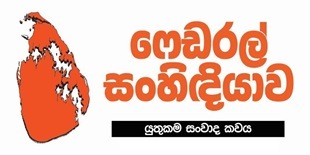 ජාතිවාදී විෂබීජ මඟින් සිතීමේ හැකියාව මොට කරනු ලැබූ සුළු ජාතීන් එක මිටකට එක්වද්දී පක්ෂ වලට බෙදී ගියෝ සිංහලයෝ නොවෙත්ද? විජාතික බලවේග වල වුවමනාව තම සෘජු ඒජන්තයකු නායකයකු බවට පත් කරවා ඔහු හරහා බෙදුම්වාදී වුවමනාවන් ඉටු කර දෙමින් රට කඩිනමින් දෙකඩ කිරීමයි. 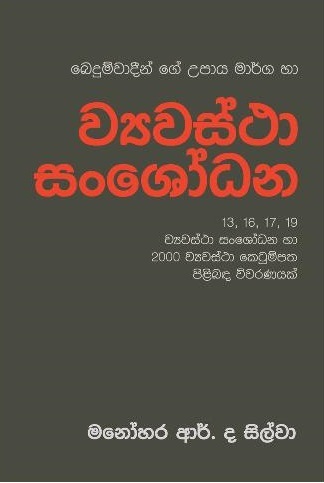 2001 දී රනිල් වික්‍රමසිංහ මිනීමරු ප්‍රභාකරන් සමඟ ගිවිසුමකට එළෑබෙන විට එකදු ලාංකිකයෙක් ඒ තොරතුරු දැන සිටියේ නැත. ඒ බව දැන සිටියේ එම ගිවිසුම් කෙටුම්පත් කළ විදේශිකයන් අතළොස්ස පමණි. 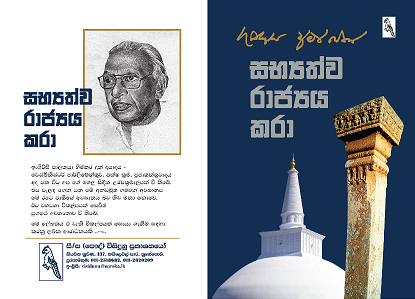 ඔහුගේ අතීත කෙරුවාව හා සමපාත වෙමින් 13 පූර්ණ වශයෙන් බලගන්වන බවත් ෆෙඩරල් රා‍ජ්‍යයක් බිහි කළ යුතු බවත් ඔහුම පවසා ඇත. දෙමළ සන්ධානයේ නායක ආර් සම්බන්ධන් මහතා තමට වෙනම රටක් ලබා ගැනීම සඳහා රනිල් වික්‍රමසිංහ අගමැති කළ යුතු බව පවසා ඇත. 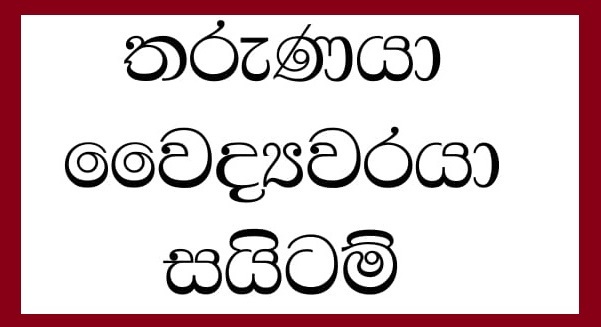 විජාතික බලවේගයන්ට ජයග්‍රහණය හිමි වුවහොත් තවත් වසර තුන හතරක් ඇතුළත "අළුත් රටක්" බිහිවන බව පැහැඳිළිය. ගියවර රනිල් රට බෙදන්නට යනවිට එය වළකාලූයේ විධායකය මඟින් පාර්ලිමේන්තුව විසුරුවා හැරීමෙනි. 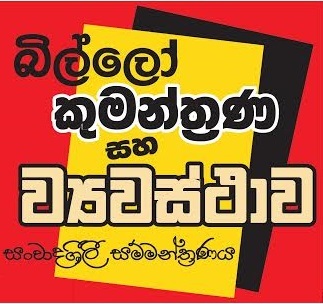 නමුත් දැන් එයද කළ නොහැකිය. 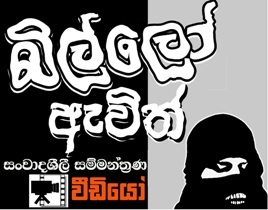 මෑතක දී සම්මත කළ 19 වන ව්‍යවස්ථා සංශෝධනය මඟින් රනිල් කළින් තමාට එල්ල වූ බාධාව ඉවත් කර ගැනුමට සමත් විය. දැන් ජනපතිට පාර්ලිමේන්තුව විසුරුවීමට වසර හතරහමාරක් ඉක්ම යනතු රු සිටිය යුතුය. ඒට පෙර රනිල් ලව්වා රට දෙකඩ කරවීමට බටහිරයෝ දනිති. 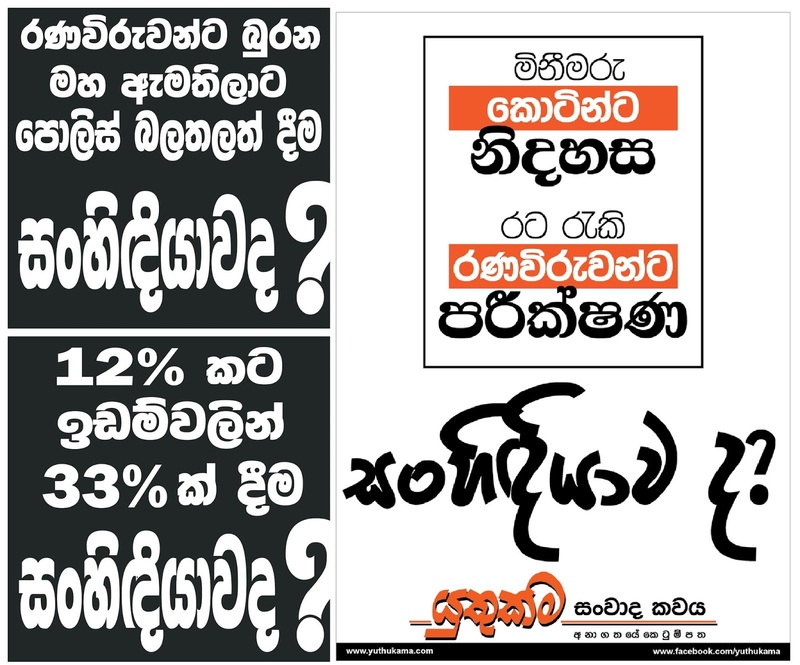 ඉතින් රනිල් වික්‍රමසිංහ නායකත්වය දරන පක්ෂයකට දෙන ඡන්දය මේ රට දෙකඩ කර විනාශ කර දැමීමට ලබා දෙන ඡන්දයකි. මාතෲ භූමියේ නිදහස වෙනුවෙන් දිවි පිදූ දස දහස් ගණනක් වූ රණ විරුවන්ගේ මරණය හා‍ස්‍යයට ලක් කිරීමකි. 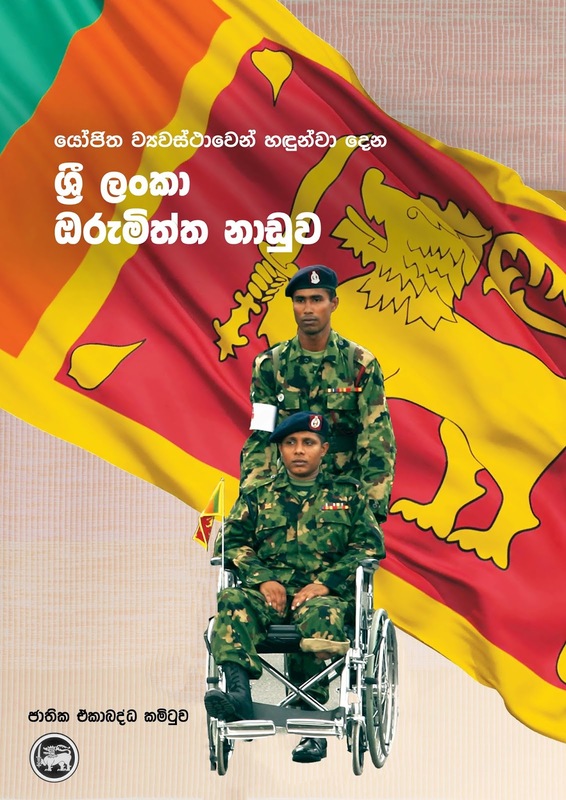 මෙය ජාතිකත්වය සහ විජාතිකත්වය අතර සටනකි. 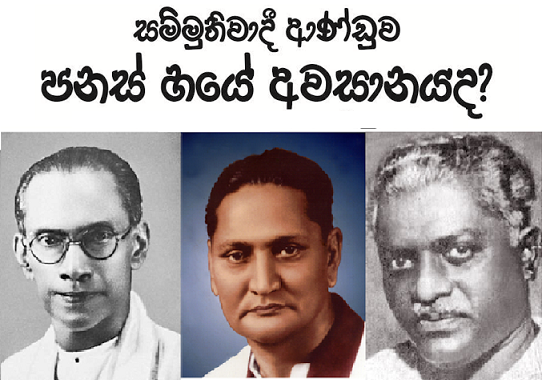 මෙව්ව අපි නම් දැනන් හිටිය. දහනවයත් සිංහලයටම කෙලවන්ඩ හදපු මර උගුලක්. ඒක කොහොමහරි කරවන්ඩ කියල එන් ජී ඕ එක්ක පාරට බැහැපු පාරාජිකා වෙච්ච චීවරධාරියෙකුත් මේ සටනට හවුල් වූ එකෙක්. we have lost due to our own kith and kin choosing privileges over principles! This happened in 1815 and it is merely a matter of history repeating itself!What is important is that we do our best to protect the man who saved our country being hauled to war crimes! Sinhalease are very capable of doing this as well under the guise of justice! Sinhalease have very very short memories and in addition they are incapable (most of them) of separating wheat from the shaft! It is a tragedy indeed that we have lost our capability to decipher right from wrong due to materialistic greed! we are heading towards a society full of educated people who are proud of their education but are sadly lacking in moral values! 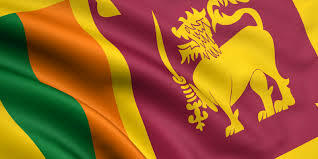 Let history take it's course the verdict has been issued and and repercussions will be seen later by that time it will no longer be the Sri Lanka that we were born into, bred, grew up and lived! It would be a nation which will comprise of self centred individuals who will boast of their achievements but are blinded to the fact that the achievement came at a heavy price of capitulating our inherent values! If the modern society does not value the human values of principles what can we do as we helplessly watch the path towards destruction? We have to bear it since we are a few who are swimming against the tide? It was difficult but we put up a good fight though we lost we should not loose the lesson! Let us at this difficult time instead of cursing others bless our leader Mr. Rajapaksa and wish for his well being and protection! He lost his independence in ensuring a country void of terrorism so it is out duty to protect him from harm! We should do everything in our power to defeat the forces who are trying to try him for war crimes, if we fail to do that we are not worthy of being born to a race that extols the virtues of human values at least for lip service!